Here in the Minneapolis area our outdoor living season is short, and often homeowners have a hard time finding a balance between relaxing and maintaining their outdoor areas. If taking care of your yard, including the lawn and all the rest of your landscaping, you may have considered hiring a landscape maintenance company to do it for you. If so, we’ve got some tips. There are multiple considerations to make before hiring any professional for a job. It can be challenging to make a decision on who to go with when the time comes, but considering these aspects can help you make a more informed decision. The goal is to hire a landscape maintenance contractor that works with you, not against you. In order to work with a company, you have to know more about them. Anyone is able to sell their services to you, but are they able to perform and deliver these services in a high quality way and on a timely basis? You need to get to know their ethics, their background and their reputation. Don’t just buy from anyone. It’s a good idea to check into their references and see how their current customers rate them. Do They Provide a Warranty or Backup Plan? What if you do not like the work that they do? Can you have them come out and fix the situation or do you have to deal with giving them the money but not getting good job? Of course, even without a warranty, the right company is going to come out and do this job, but having a warranty, contract or even a small backup plan is essential. Many people look for ways to cut corners, and in today’s economy that’s understandable. While you want to save a buck, you also want to make sure that the job is done right. In order to do this, you have to scope out the best companies by their ethics and the quality of work that they do, not the amount of money they charge for services. Yes, you get what you pay for. Do you know all of the options that you have, or do you have to work with this company alone? You want to provide yourself with the ability to choose who to work with and who not to. In order to find out who is best, comparing your options is always ideal. Chances are you’ve got more than one. And even if you’ve settled on one particular company, ask questions to find out what types of services and packages are available. 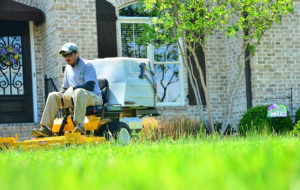 There is no one-size-fits-all when it comes to landscape maintenance, so look for a company whose service package can be tailored to your needs. Know who is going to be working on the property and get a feel for them. You want to know that you can work smoothly with the people that are doing the job, so learning more about them is key. When you get a good vibe from those doing the job, you can feel more confident about the choice you made. Of course everybody has to get a start somewhere, and it’s expected there will be new crew members, but are they being supervised by someone who’s an experienced landscaper? Hiring a Minnesota landscape maintenance contractor is a great way to give you more free time to relax in your yard. You can also enjoy the benefits of a lawnless yard that is even more maintenance free. Architectural Landscape Design is able to provide both residential and commercial maintenance for your landscaping, including lawn care. Our licensed Minnesota landscaping company has you covered from start to finish when you need a professional to come in and take care of everything for you, so you can focus on other things…like enjoying the summer!